Every day, thousands of Americans turn to Dave Ramsey to help connect them with professionals they can trust. Why? They believe it’s too complicated to find trustworthy and competent realtors, insurance agents or tax professionals — too many lazy businesses, too many unfulfilled promises. So it was decided that Dave Ramsey fans deserved better. Dave wanted his fans to be able to quickly find an accomplished professional they can trust—a pro who gives the same, helpful advice our fans expect to hear from Dave. That’s why Dave created the Endorsed Local Providers (ELP) program—a network of endorsed professionals who are held accountable by members of Dave’s team and customer reviews. What started as a service for one city has now grown to help hundreds of thousands of people across the nation. People love the simple process and the high-quality professionals Dave endorses. Dave’s audience depends on him to provide reliable, trustworthy professionals who provide exceptional customer service. It’s a responsibility he takes seriously every day. ELPs give great customer service and are easy to understand. We’ve made sure your ELP really does have the heart of a teacher and that he provides top-notch customer service. No one likes to be talked down to or feel like they don’t matter. Your ELP prides himself on his willingness to work with every Dave Ramsey fan and treating them like a friend! ELPs earn Dave’s endorsement, they don’t buy it. Being an ELP isn’t easy; it’s hard work because ELPs are held to a higher standard of excellence. 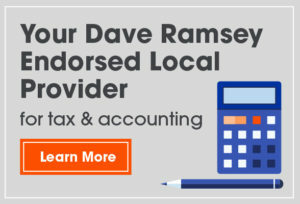 While ELPs do pay a fee to cover website maintenance and employment costs, Dave’s endorsement is not bought — it’s earned. We have a 26 person team that interviews potential ELPs several times and provides support to make sure they provide the best advice just like Dave does. We also make sure that every ELP is someone you feel comfortable talking to and is a person you can trust. 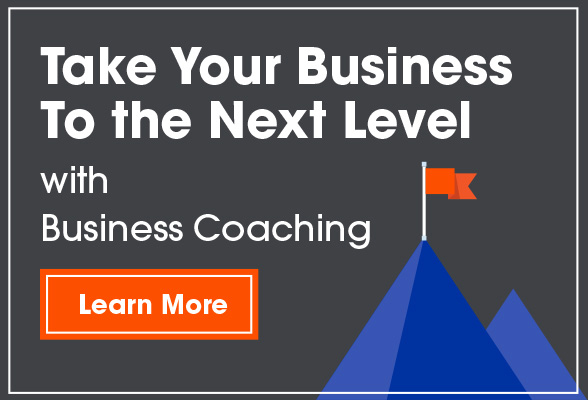 At EntreLeadership, Dave teaches entrepreneurs from all over the country how to reach the next level in their business. Learning the principles and beliefs that helped Dave build his organization to more than 250 team members in less than two decades. As a 2010 graduate of the EntreLeadership Master Series, your ELP, Michael Johnson, is a member of an elite group of professionals specially equipped to help you find a way to move beyond hard work – by learning to work smart. Dave has an unusual way of looking at the world. Dave’s wife, Sharon, says he’s weird and truthfully—he is weird. But there’s a reason. Starting from nothing, by the time he was 26 he had a net worth of a little over a million dollars. He was making $250,000 a year—that’s more than $20,000 a month net taxable income. He was really having fun. But 98% truth is a lie, and that 2% can cause big problems, especially with $4 million in real estate. He had a lot of debt—a lot of short-term debt—and he’s the idiot who signed up for the trip. The short version of the story is that debt caused him, over the course of two and a half years of fighting it, to lose everything. He didn’t tell anyone what was going on, but if he had to do it again, he would learn from the wisdom of others who have been through it. He soon learned that he was not the only one at the bottom. Barbie and Ken (you know, the couple who appear to be perfect—perfect clothes, perfect car, perfect house) are broke, and he doesn’t take financial advice from broke people anymore. After losing everything, Dave went on a quest to find out how money really works, how he could get control of it and how he could have confidence in handling it. He read everything he could get his hands on. He interviewed older rich people, people who made money and kept it. That quest led Dave to a really, really uncomfortable place: his mirror. He came to realize that his money problems, worries and shortages largely began and ended with the person in his mirror. He also realized that if he could learn to manage the character he shaved with every morning, he would win with money. Dave went back to his first love, real estate, to eat and to get out of debt. Along the way, he began another path—the path of helping others, literally millions of others, take the same quest to the mirror. He formed The Lampo Group in 1992 to counsel folks hurting from the results of financial stress. Dave paid the “stupid tax” (mistakes with dollar signs on the end) so hopefully some of you won’t have to. He wrote the book, Financial Peace, based on all that Sharon and he had learned, and he began selling it out of his car. With a friend of his, Dave started a local radio call-in show called The Money Game, now nationally syndicated as The Dave Ramsey Show. The company history is full of landmarks leading up to the release of their third best-selling book in 2003—The Total Money Makeover—and they’re not slowing down. The Lampo Group now has nearly 300 team members and a variety of products and services to help you reach your financial goals. Many companies define success based on the dollars coming in, but at The Lampo Group, they define their success by the number of lives changed: listeners getting out of debt, readers taking their first Baby Step and saving $1,000, FPU graduates changing their family tree. Dave learned early on that if he can help enough people, the money will come.